Albert Nathaniel Alward was born 28 July 1836 in Scipio, Cayuga, New York. On 2 January 1871 he married Nellie Campbell Smith of South Bend, Indiana. The couple settled in Chicago by 1870 when they were living at 233 N. Wlls St. (now 819 N. Wells St.). Nellie died 19 December 1875 and Albert died 9 November 1902. Both are buried in South Bend, Indiana. For further details, contact the Chicago Genealogical Society. 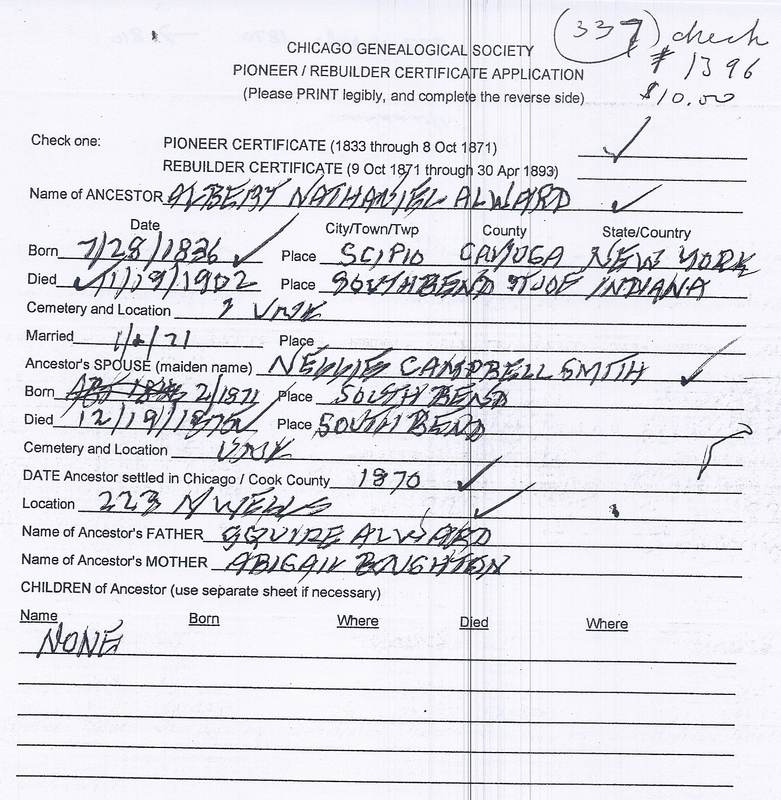 Albert Nathaniel Alward is Pioneer Ancestor number 337.